Stellar Four: Oh, Dead Island. Nobody Wants Your Headless Bikini Statue. Oh, Dead Island. Nobody Wants Your Headless Bikini Statue. 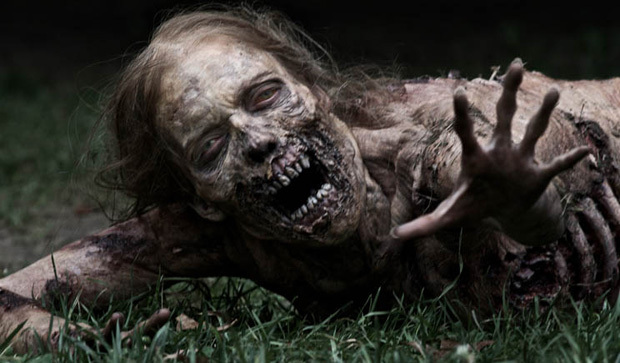 It's hard out there for a lady zombie lover. 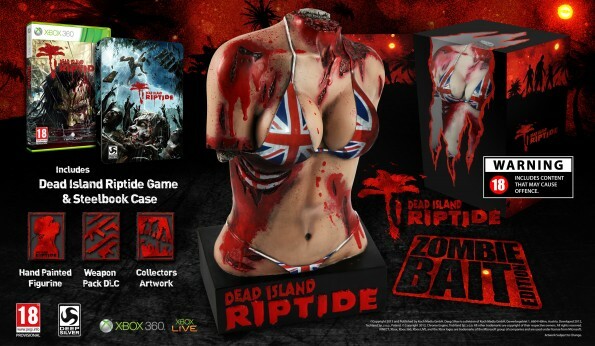 On Tuesday, game company Deep Silver upped the creepy sexist ante by announcing that the Zombie Bait Edition of Dead Island Riptide, part of its popular "zombies in paradise" franchise, would come with a decorative bust that you can place on your mantel. They're seriously urging you to display this in your home. Where people live. Deep Silver apologized — but didn't indicate whether it was going to pull the bust from the special edition package, which is available only in Europe and Australia. The company claims to be surprised by the controversy because it's meant to be "a grotesque take on an iconic Roman marble torso statue." Well, they nailed the grotesque part, anyway. To be fair, the bikini is in keeping with the tropical theme of the game, and certainly, zombie games feature gore. But that's about all I can say in defense of it. Wichita wouldn't put up that that. Feminist film critic Laura Mulvey argues that the function of women in most entertainment is to be the sexualized object of the male gaze. It doesn't get more sexually objectifying than a featureless, limbless torso whose sole assets are its, well, assets. Anything that would make that torso a person — a head, mouth, eyes, ears — has been removed. I suppose one possible response is, "Great! Where's the Speedo-clad male pelvis statue, ripped off at the waist, for the mantle over my fireplace?" But to be clear, equal amounts of objectification in the opposite direction do not eliminate or redeem the previous objectification. This statue is particularly galling at a time when women are fighting for equal rights around the globe, and many of our own freedoms in the United States are coming under fire. Can you feel good about setting that statue on a shelf when you consider the culture of violence and misogyny that led to the death of the Indian woman who was gang raped in December? The company calls the decorative bust a conversation starter. And it is. I'm just not sure what kind of conversation Deep Silver is hoping to start. If you arrive at your date's place and see that thing sitting front and center on the coffee table, do you settle in for a few romantic drinks? Or do you make a hasty excuse and swiftly exit the house, being sure never to turn your back on him lest he try to hogtie you with an extension cord, then make you rub lotion on your skin? 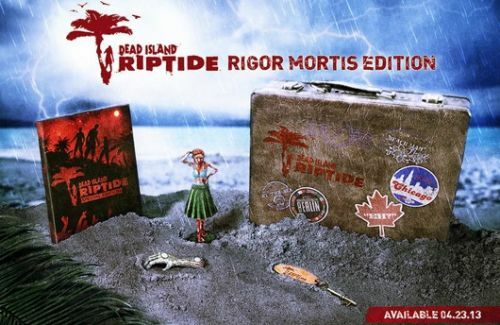 In the meantime, consider the American special edition of Dead Island Riptide. It comes with a zombified hula girl. And that, my friends, is fun zombie kitsch for the average woman. I don't get it. Who would want that? Nobody I'd want to hang with. Thank you so much for your commentary on this "item". I am a geek feminist from birth (which was quite some time ago ; ) and I am so glad that you are carrying the message through this blog. I agree with you 100%. Women of all ages of all nationalities everywhere benefit from this type of discourse. You speak for those who cannot speak for themselves and I admire and congratulate you. I do not often comment, but your message is powerful and important. I support you and applaud you. Just WHY? Why would they do that? Who wants that? Now the American version with the zombie hula girl, that's fun. Not a "conversation starter". It's a shitstorm starter. It's unbelievable they're marketing it as a conversation starter. It reminds me of a vile version of the leg lamp in A Christmas Story. Ralphie's mother was so horrified by the cheap, tawdry thing while the men couldn't tear their eyes from it. It wasn't because the lamp was some major award or an artistic interpretation of the beauty of the human form. It was objectification of women in it's most basic form. It's the same with this but the exposed ribcage and gaping knife wounds has take it beyond objectification into something perverted. It's like a snuff film in plastic statuette form. My mother's husband has a leg lamp that is in his den year round.